After the announcement of the Budget 2018 the education sector has undergone tremendous transformation to make the system accessible to everyone. During the announcement of the Union Budget for 2018-2019, Finance Minister Arun Jaitley announced a slew of measures to be undertaken in the education sector, which saw a 4% rise in budget allocation as compared to the previous year. The focus of the education budget, said Jaitley, was on using digital technology for enhancing the scope of the sector. Here, we will be assessing and disseminating the new trends in the education sector as well as the impact of the new reforms on the system. After the announcement of the Budget 2018 by Mr Arun Jaitley and the several key reforms that the government has undertaken, the education sector has undergone tremendous transformation to make the system accessible to everyone. Most sectors have seen a significant rise in the individual apportionments, including the most awaited and debated Indian education sector. Although the highest share of the current budget belongs to subsidies, interest and defence at 4%, the education sector is one of the least valued at a meagre 3.5%. 3 How Will The Business In This Sector Be Impacted? To understand the current scenario better and then analyse India’s current position, let us first take a look at some aspects related to the Indian Education System and then proceed to highlight the key elements procured from this budget. India ranks 124th in the literacy index in the world, surprisingly behind Sri Lanka and Indonesia too. While we boast of skilled individuals and “Beti Bachao, Beti Padhao” slogans, there has been a steady decline in the allotment of the budget to the education sector since 1999. While the actual spend in 1999 was 4.4 percent, today it has reduced to 3.5 percent. 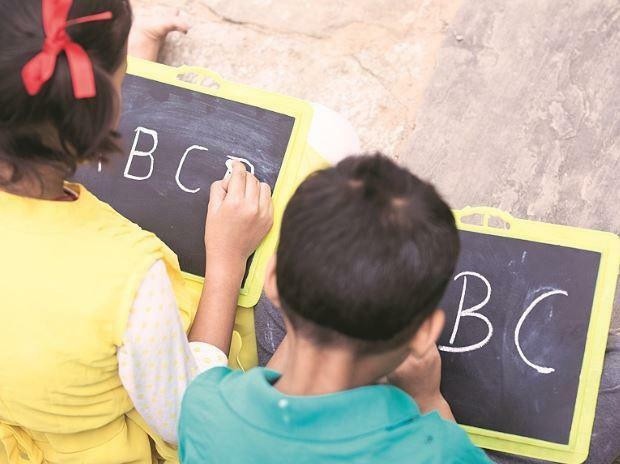 Although there is a dire necessity to increase the budget for the education sector, the current scenario offers lesser prospects of bridging the gap. Not a justifiable basic demand-supply gap in the system. Around 10 million young people in India need jobs at any given time after completion of their various degrees or education. India is a signatory to Sustainable Development Goals (SDGs) mandated by the United Nations in 2015. The SDGs emphasized providing comprehensive and quality education, warranting skill, capabilities, employment and opportunity to all. Without having a sound budget allocation to the Indian Education Sector, there are chances of missing out on the SDG goal deadline till 2030. Finance Minister Arun Jaitley has coherently proposed the launch of Eklavya Schools for the Scheduled Tribal population in India. This will try to bridge the education gap in the tribal sector and empower them with better quality of life and education. It is expected that by 2022, every section with at least 20,000 tribal people and more than 50% ST population will have ‘Ekalavya’ school at par with Navodaya Vidayalas. Commencement of two more Planning and Architecture Colleges in India to take the total number up to 18. The announcement of Prime Minister Research Fellowships in partnership with premier institutes of India like IISc and IITs for 1000 B.Tech Students. There is a proposal to introduce 24 more government medical colleges by elevating already present district medical colleges. One medical college for every three parliamentary constituencies. The Finance Minister also announced during his speech that there will be a lot of emphasis on the quality of education by increasing the digital influence and intensity in the system. RISE – Revitalizing Infrastructure in School Education, with an allocation of 1 lakh crore rupees over four years, is a government scheme for revitalizing the school infrastructure that will be launched by 2022. Integrated B. Ed Program for teachers to improve the quality of teaching and make the teachers abreast of the latest teaching methodologies. Improvement in the student-teacher ratio in government-run schools, although there is a significant development in this ratio today. How Will The Business In This Sector Be Impacted? Will Business In Education Sector Be Affected? Education business has been growing steadily over the past few decades. The Indian education market is foreseen to double to $180 billion by 2020. Rapid digitization in this industry has opened gates for multiple opportunities for business people and entrepreneurs in this sector. Education outlay pegged at Rs. 72,394 crores. Education outlay increases 9.9% to Rs. 79,685.95 crores, revised to Rs. 81,868 crores later. Education outlay increases to Rs. 85,010 crores. E-Learning portfolio of higher education was allocated a total of Rs. 552 crores. E-Learning portfolio of higher education was allocated a total of Rs. 497 crores in 2017-18. Revised budget on e-learning talks about $81.2 Mn (INR 516.89 Cr) allotment for the fiscal ending March 31, 2018. The budget allocates Rs. 250 crores for capital expenditure to establish of higher education financing agency (HEFA). HEFA was granted a budgetary allocation of Rs. 250 crores in the fiscal year 2018 as well. The government allocates Rs. 730 crores to IIMs, raised to Rs. 857.78 crores in the revised estimate. IIMs got Rs. 1,030 crores, including Rs. 190 crores for setting up of new IIMs. The total budgetary allocation for IITs has been reduced — from Rs. 8,244.8 crores to Rs. 6,326 crores in 2018-19. The education business has risen considerably since 2016 till date. The education industry in India is estimated to reach USD 144 billion by 2020 from USD 97.8 billion in 2016. Approx. 35.7 million students enrolled in higher education in India during 2016-17, and it has increased by 0.7% to date. This gives entrepreneurs and businesspeople more impetus to open better educational institutions for the betterment of the sector in India. India had a total of US$ 1.64 billion of Foreign Direct Investments (FDI) inflow into the education sector from April 2000 to September 2017. This has paved the way for more mergers and coalitions with international educational institutions, creating a positive impact for business in this sector. The overall impact on the education sector has seen a change in the budget allocation over the past three fiscal years. The education cess of 3% replaced by education and health cess at 4% will see a total increase of over Rs. 11,000 crores that will be beneficial to the educational institutions overall. More business opportunities for entrepreneurs to establish a better digital education system in the country. Repaying HEFA loans, drawn from academic institutions, will be watched closely over the next ten years. This is an excellent move to understand the stability of the businesses that have invested in the system in the country. About the Author: This article is contributed by Anish Passi – Director at Neostencil. "Hot Trends In Education Sector Since The Rollout Of The Budget 2018! ", 5 out of 5 based on 1 ratings.